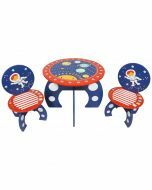 Kidsaw star table & chair set is perfect for little children and great for creative play. A little table and 2 little chairs for them to play at. 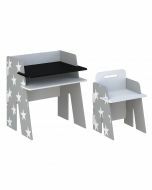 The table and chairs come in a white and grey with white stars design giving this a contemporary/trendy/nordic feel. 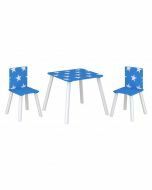 Kidsaw star table & chair set is perfect for little children and great for creative play. 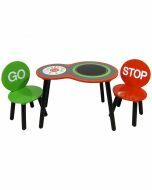 A little table and 2 little chairs for them to play at. 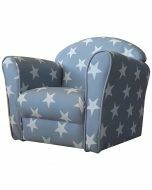 The table and chairs come in a white and grey with white stars design giving this a contemporary/trendy/nordic feel. 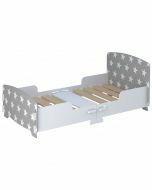 The set is made from MDF and solid wood material. Table Dimensions H.44 x W.48 x D.48cm. Chair Dimensions H.50 x W.28 x D.28cm.